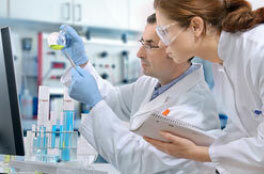 The University of Sheffield’s Medical School has a strong track record in basic, translational and clinical bone research. The recent era began with the establishment of the Department of Chemical Pathology in 1974 by Professor Jack Martin and continued as the Department of Human Metabolism and Clinical Biochemistry under the leadership of Professor Graham Russell for 25 years to 2001. Its standing in bone research is best illustrated in an independent assessment by Evidence Ltd, which ranked the University of Sheffield top in the UK (UK Bone Research Report 2007). In agreement with this, ISI Thomson ranked the University of Sheffield number one in the UK and among the top four academic centres in the world for its research into osteoporosis. The Mellanby Centre for Bone Research was established by The University of Sheffield in 2009 as a centre of excellence which brings together researchers from the Medical School, the School of Health and Related Research, the School of Clinical Dentistry, the Department of Biomedical Sciences, Insigneo Institute for in silico Medicine and Centre for Computational Imaging and Simulation Technologies in Biomedicine. Establish a focus for bone research at the University of Sheffield called the ‘Mellanby Centre for Bone Research’ (MCBR). Foster the development of interdisciplinary research across the University of Sheffield. Develop collaborative research programmes and grant applications within the MCBR. Position the MCBR to apply for externally funded centre status. 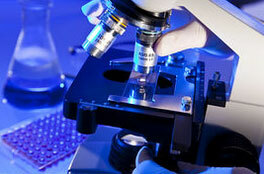 Develop our links with the pharmaceutical and biotechnology industry. Widen the profile of bone research at the University of Sheffield.